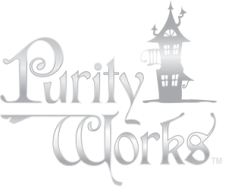 Jennie connects most of her talks with one or more of her children's stories, and speaks to every age group to explain purity and the “Five Doors of the Heart,” the nonsexual foundation to sexual purity. Presentations are 45 minutes to an hour in general, and may include full readings of books if appropriate. Depending upon the occasion, interactive media may be included. Jennie appears for daddy/daughter dances, Princess and Squire ceremonies (click here for more info), MOPS events, crisis pregnancy events and training. Planned Purity Seminars include 4 sessions, Q & A, and a lunch break, and train completely in how to use Planned Purity to train families. Click here for a complete explanation of what a seminar entails. A few topics: Using the Five Doors of the Heart with Preschoolers, Practicing Purity in Marriage by being Actively Sexual, How the Five Doors relates to Preschoolers (or Teens, or Adults). Interested in having Jennie speak? If interested in having Jennie speak, please fill out the form below or email office@purityworks.org. Thank you!